Reliable Actuators Solution for Stable Ventilation Systems |Venture Mfg Co. The objective of ventilation in a stable is to provide fresh air to the livestock. The stables have more dust, odors, and molds, when compared to our homes. Ventilation helps remove moisture and maintain quality of the air. The CO2 levels, airflows, and temperature should be balanced correctly to ensure the optimum welfare of livestock. This is achieved by various natural methods as well as automated stable control systems. Venture. Mfg. 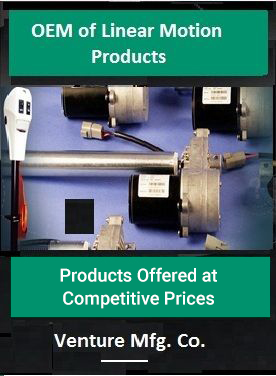 Co. provides actuator systems, which can be combined with stable control systems for optimum results. Linear Actuators: These actuator solutions are used to control the movement of stable ventilation systems. These solutions are distinguished due to their compact and lightweight designs, which provide excellent mobility. The actuators provide overload protection. Electric Linear Actuators: The electric linear actuators are powered by an electric motor. These actuator solutions provide high levels of precision when it comes to movement control. 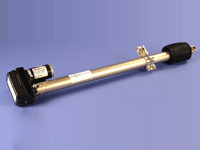 These actuators work on low voltage, and does not use any additional fuel. Features of Stable Ventilation Actuator Systems from Venture Mfg. Co.
Easy Interface: Our actuators for stable ventilation feature easy-to-interface designs. These actuators can be interfaced with most automated stable control systems, and data bus communication systems. Ventilation on Demand: The electric linear actuators provide ventilation on demand. These actuators regulate fresh air supply on demand from climate controllers with correct CO2, airflow, and temperature. Helps Maintain Animal Welfare: Our actuator systems help regulate air ventilation systems to uniform air supply and eliminate draught-like conditions. Controlled Movement: Our linear actuators help control the movement of stable ventilation systems. These actuators are interfaced with climate controllers, which ensures optimal ventilation. Noise-free Operation: Our actuators are controlled by noise-free electrical motors, which makes them perfect for controllers. Safety: Our electric actuators are electrically powered, which eliminate the risks of leaks. If you require a reliable actuator system for your ventilation system, then we can provide you the right solution.